Everyone needs to have life goals. They're what motivates us to get up in the morning, keep going, strive for more than just the average day. What's a good example of a life goal? Obviously, the answer is to piggyback ride a bear! Actually, that's a life goal that could effectively END your life, because it's just that dangerous. We've seen the Revenant. 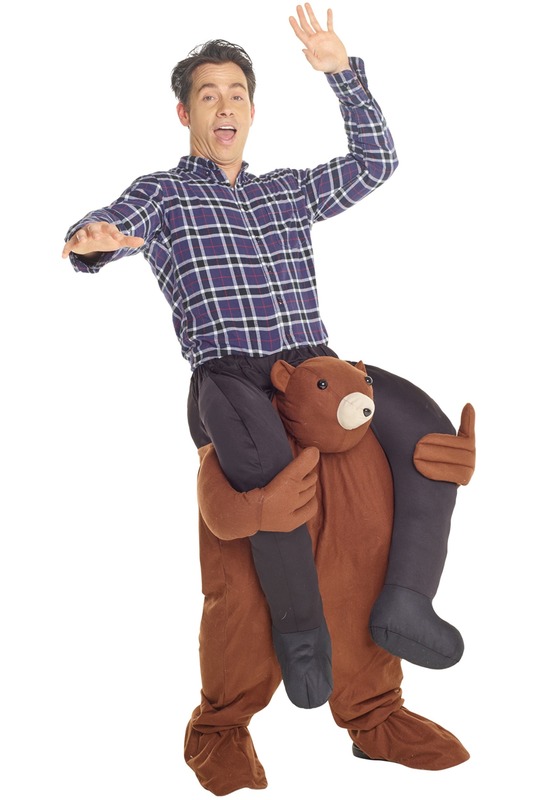 That's why this bear piggyback costume for adults is such a great idea. It makes it much easier to achieve your lifelong dream of riding a bear, but without the maiming and unpleasantness of dying. Seriously, don't approach real bears! They're not cool with that. This bear costume though? You can approach this thing all day long. In fact, people will want to come right up to you while you're wearing it because it's so funny and even a little bit mystifying. How can that bear lift a full grown person? We won't tell you, you'll just have to get it to find out. So, what are the bear-y important details of this hilarious costume? We don't want to spoil the fun, but lets just say it's just one costume, and you will be able to freely and easily walk around all on your own all night, and your hands will be free to pick up drinks, picnic baskets... whatever you like. It's easy to put on, and just so you know, it's going to get a LOT of attention from other folks, especially forest rangers. Now that you've found this costume, get out there and achieve your life goals safely, easily, and with humor than the average bear!